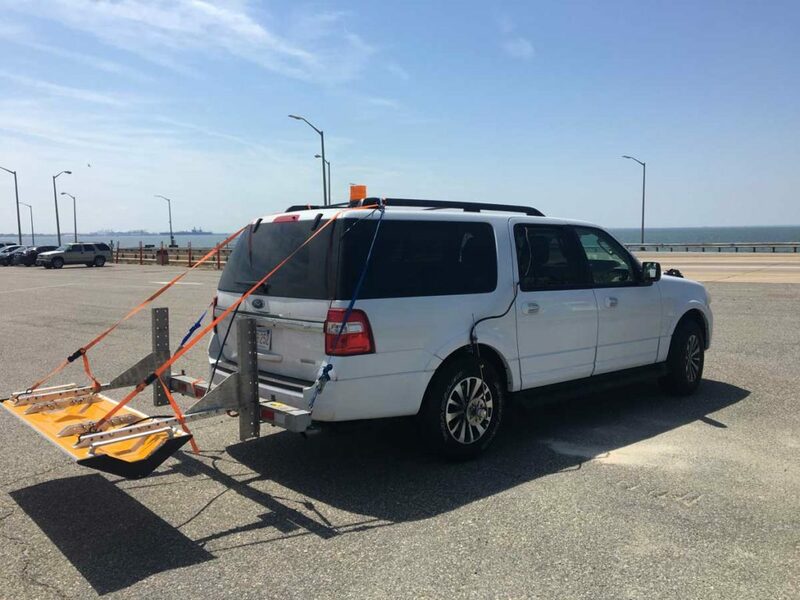 NDE Scanning and Mapping of Hampton Roads Tunnel Conditions - Infrasense Inc. 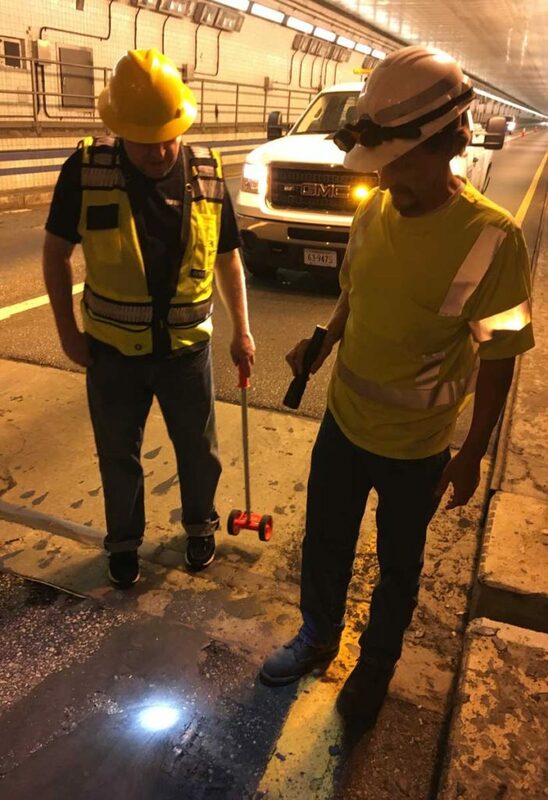 The Virginia Department of Transportation commissioned Infrasense to perform condition evaluations of the walls and roadway deck of the Hampton Roads Tunnels, which carry I-64 below the Chesapeake Bay in Norfolk, Virginia. The eastbound and westbound tunnels are 7,315 feet and 7,470 feet in length, respectively. The tunnel wall evaluations were carried out using a 2-phased approach. Phase 1 included rapid scanning of the tunnel walls using high-resolution visual (HRV) and infrared thermography (IR), and Phase 2 consisted of targeted acoustic (impact echo and hammer sounding) and handheld ground penetrating radar (GPR) testing on selected tunnel wall locations. 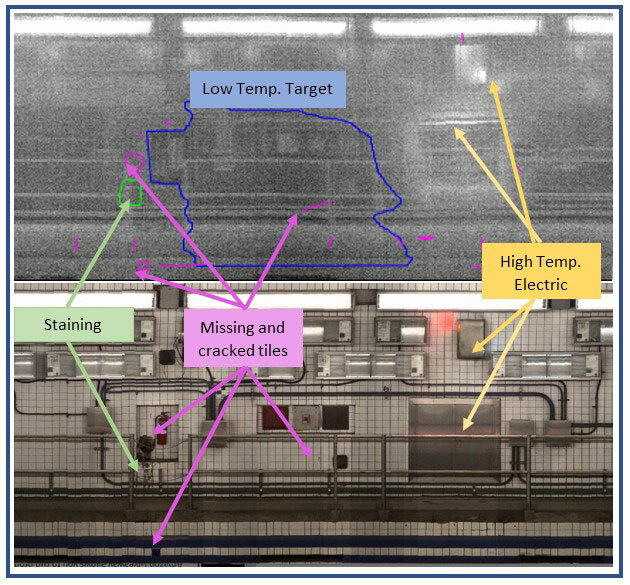 Using Infrasense’s proprietary software, the infrared and visual data was stitched into composite images of the full extents of the tunnel walls, and potential areas of deterioration or damaged tiles were identified and mapped. Using these results, targeted Phase 2 testing was performed on the walls using high frequency handheld GPR and acoustic impact echo testing.